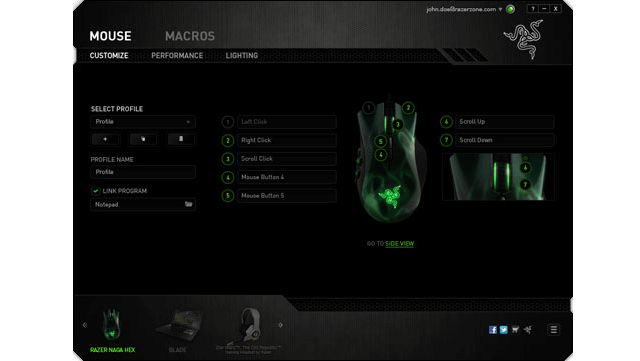 Razer Synapse is our unified configuration software that allows you to rebind controls or assign macros to any of your Razer peripherals and saves all your settings automatically to the cloud. 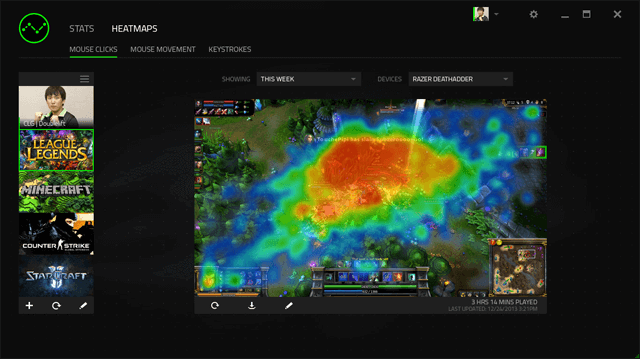 No more tedious device configurations when you arrive at LAN parties or tourneys, as you can pull them from the cloud, and get owning right away. 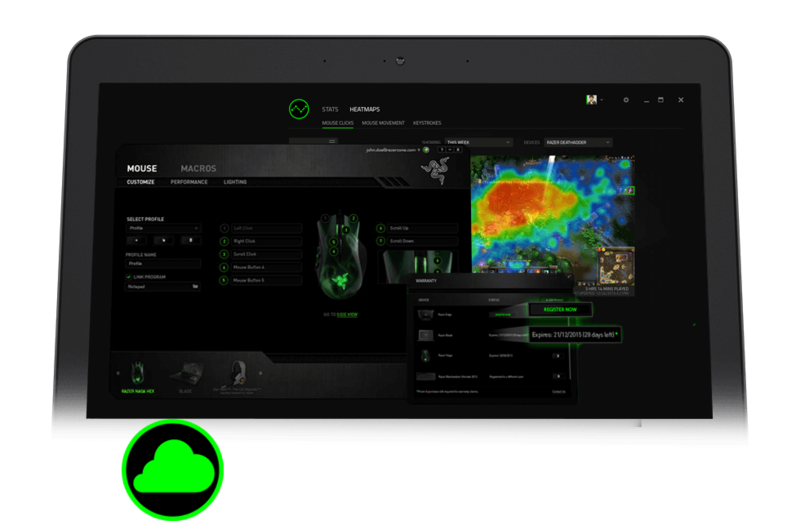 Razer Synapse is our unified configuration software that allows you to rebind controls or assign macros to any of your Razer peripherals and saves all your settings automatically to the cloud. Valid e-mail, software download, license acceptance, and internet connection needed to activate full features and for software updates. After activation, full features are available in optional offline mode.